What is it that makes our crisp, Sticky Chicken so juicy? How does a simmering bowl of Spicy Miso Garlic Ramen kick your taste buds with so much heat and flavor? 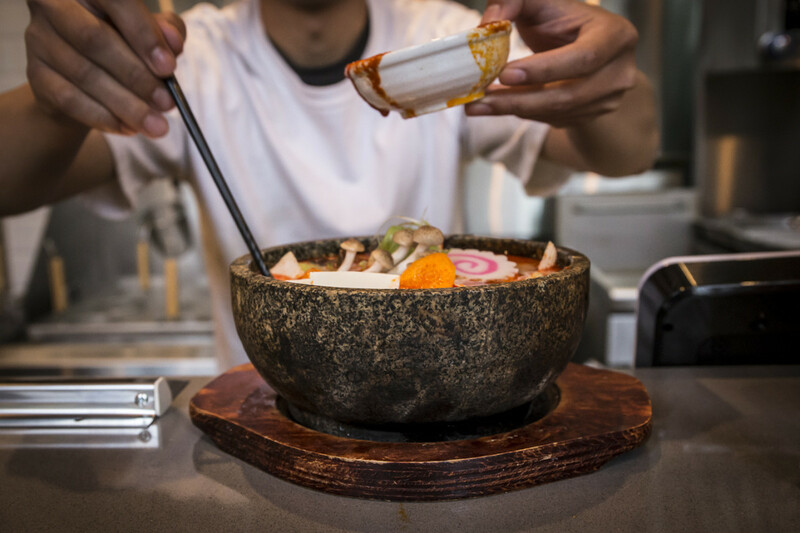 Through an insider perspective, discover the secret to creating traditional Japanese dishes that serves the “umami” flavour in every dish like no other cuisine can. 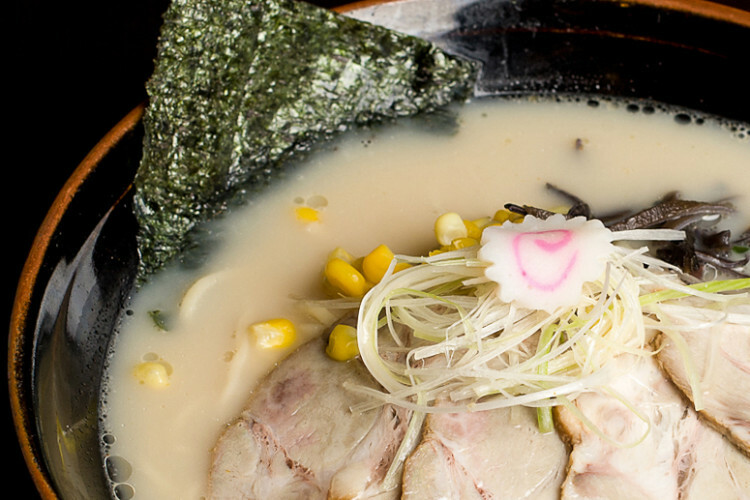 Nomiya’s chef and owner, Wing Chan, shares a list of Nomiya’s top house ingredients that you could use as a starting point to learn the world of Japanese cuisine. Mirin is a type of mochi rice wine with a subtle sweet taste and fresh aroma that is an essential condiment used in marinades or to season soup. The bright flavor of mirin shines through in Nomiya’s no. 1 best seller – Sticky Chicken. The flavor of Miso is most popular in miso soup. This paste gets its flavor from fermented soy bean. 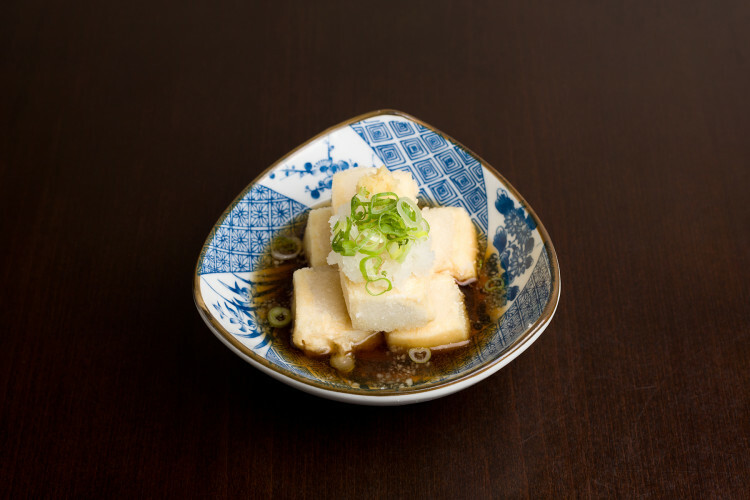 Black cod miso is a silky, luxurious flavor of fish used in several sauces and marinades, while white and red miso is used to make our ramen soup paste. Kombu is a versatile ingredient in Japanese cuisine that’s made from kelp. 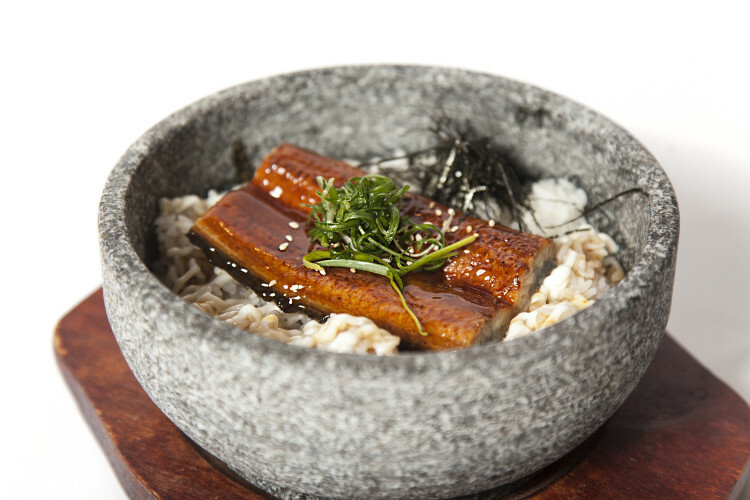 The “King of Seaweed” is chewy in texture and is paired with dashi in many broth bases to heighten flavors. Nori is a type of seaweed used to wrap sushi, add color to donburi, or to garnish ramen bowls. Dashi is a rich and vital ingredient in Japanese cuisine that is used as a base of several broths or stock to create a savory umami flavor. The bonito fish-based flavor of dried and smoked skipjack tuna is used in many of our house made sauces and soup stock. 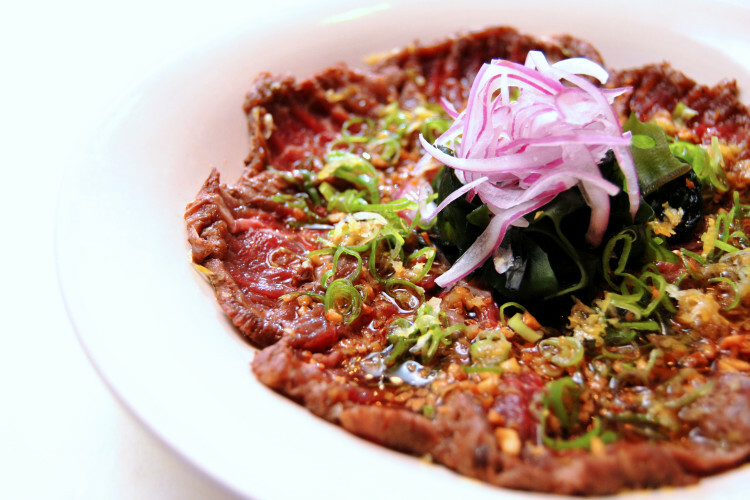 Ever wonder what gives the Beef Tataki that sharp, tangy flavor? It’s Ponzu! The citrus sauce is used to complement several tataki and oyster dishes. Sake is a multifunctional ingredient in Japanese cuisine. The rice wine can be used as a drink or to tenderize meat. It is used in chicken marinades to balance other flavors of seafood and give a deeper flavor. Shoyu is simply soy sauce on a whole other level. Tamari Shoyu has a red tint that is commonly used at a table with sushi and sashimi, while Saishikomi Shoyu is a “refermented” sweet soy sauce used to add flavor for dishes such as the Agedashi Tofu and many sushi rolls. 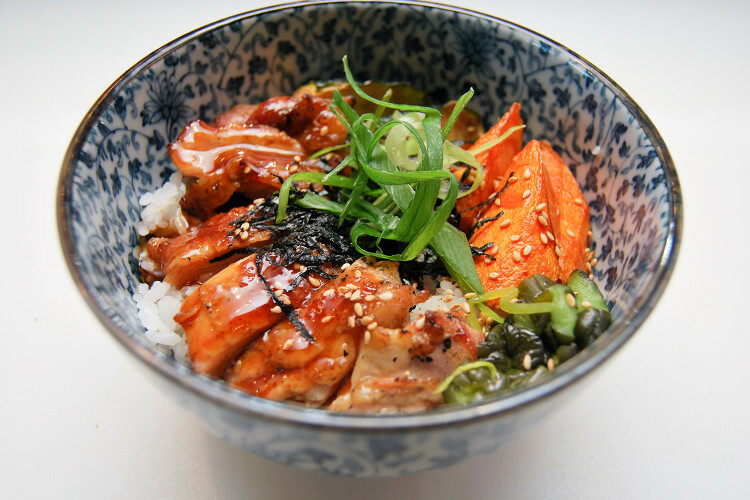 Unagi, or Barbeque Eel can take many forms in traditional Japanese dishes. 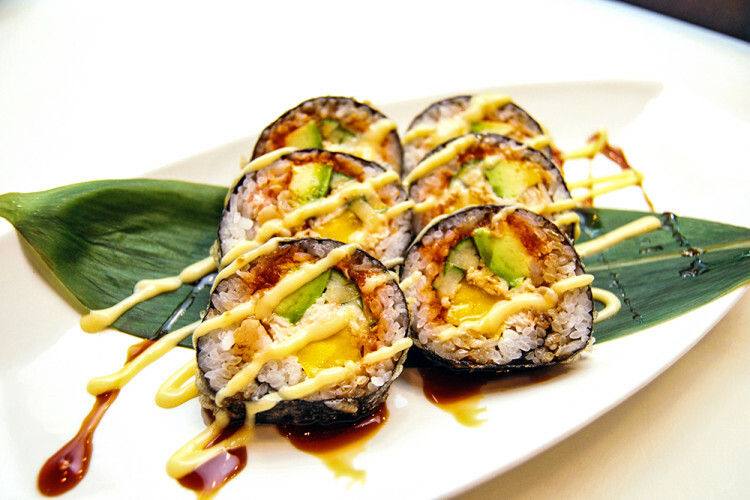 Whether it be in sushi rolls, or stir fried into a stone bowl, this ingredient is a savory, mouth-watering delicacy. What are some more Japanese ingredients you would like for us to share? Let us know on Facebook, Instagram, or Twitter!